Surfing is fun when you can get the right waves. 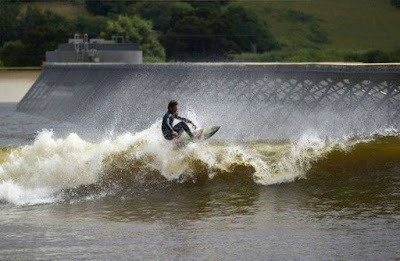 But waiting for the right waves to come along can be a bummer. 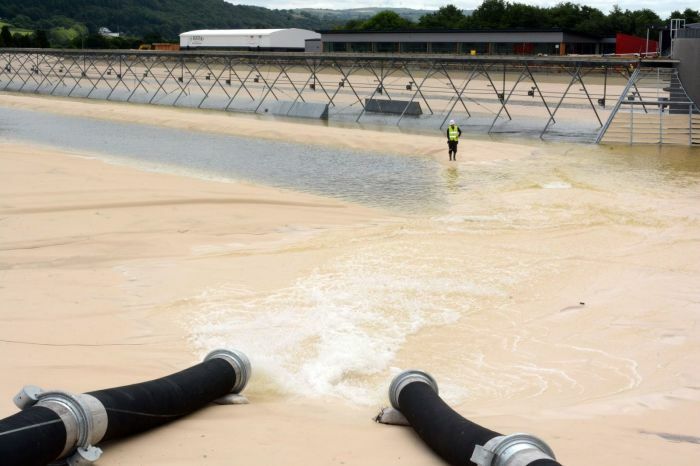 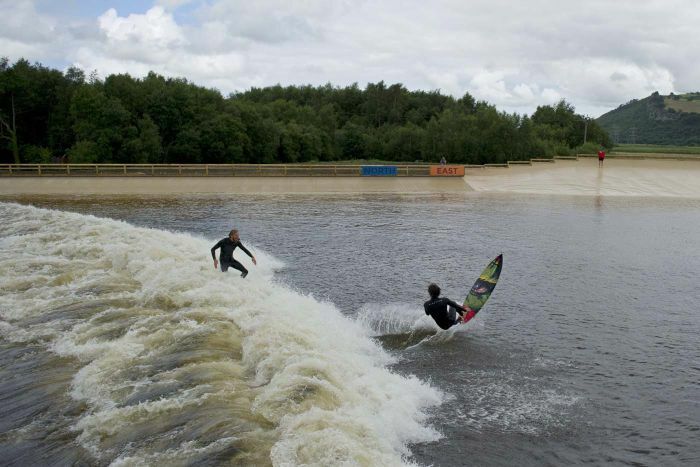 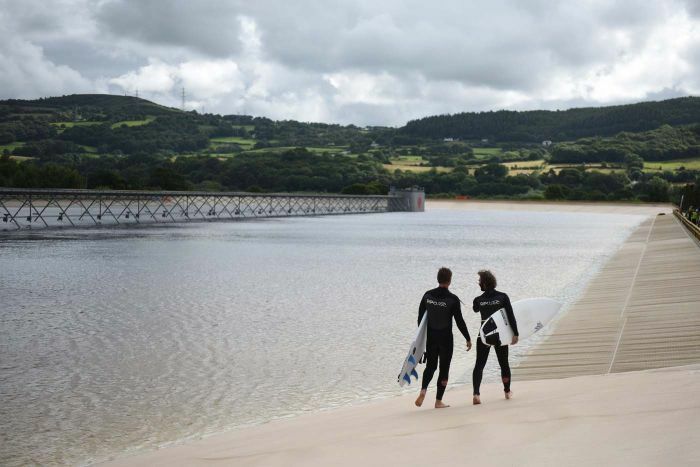 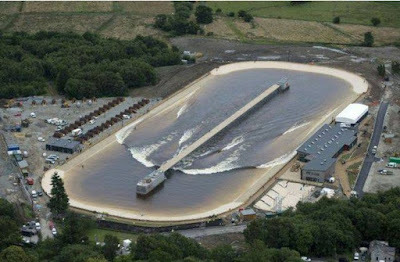 That's why company Wavegarden has built a giant swimming pool that's as long as six football fields and it creates artificial waves on command. 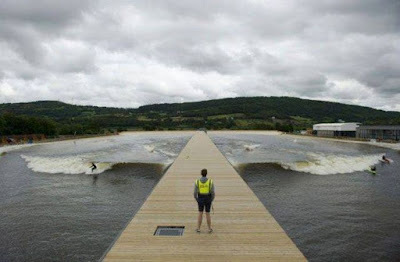 The pool can hold up to 36 surfers at one time.